Digging the hole for the biggest basement excavation in Queensland has more facets to it than you might think. Probuild has been busy progressing with construction of the 172-metre water-proof barrier wall that will protect the basement from groundwater from the Brisbane River. So far, eight of the 28 panels needed have been installed. 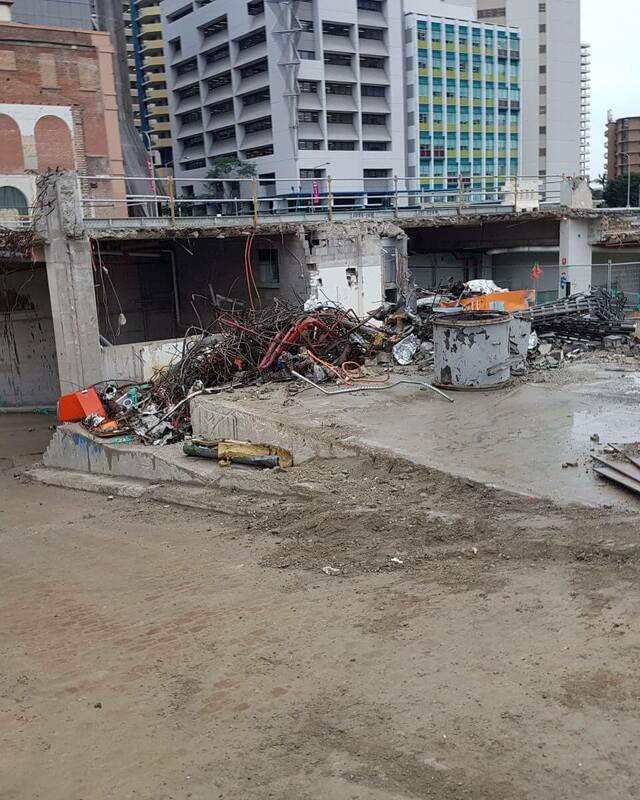 The basements of the former Executive Building and Annexe buildings will have been removed by the end of July. Those structures are 12 metres below George St, yet Queen’s Wharf Brisbane will need to go a further 14 metres deeper in order to build the basement. Meanwhile, William Street was dug up during June and is now the entry and exit ramps for haulage trucks. Probuild Project Manager Greg Sneeden said to date 5 per cent or around 22,500m3 of the 450,000m3 material had been removed. “In the coming weeks, we will start progressing excavation at a much faster rate. This will require additional trucks to haul the material that comes out of site, which is why we will start night haulage on 2 July to avoid additional trucks on the roads during the day,” he said. “We are extremely conscious of our operating environment and we appreciate the support we continue to receive from the community. We do not take this support for granted and we will keep on doing what we can to ensure any potential impacts on the neighbouring community are minimised while we undertake these essential works. “To help minimise any community impacts, our team and our sub-contractor have worked together to identified opportunities for how we can best manage truck movements, the site loading areas and associated noise. Probuild has approval to operate night haulage from 6.30pm to 2am Monday to Saturday with an average of 16 trucks per hour expected. For more information on the excavation and shoring – sign up for construction updates on our website www.queenswharfbrisbane.com.au or contact Probuild direct on P:1800 676 329 or email www.quenswharf@probuild.com.au.